Talk about a heavy weight. 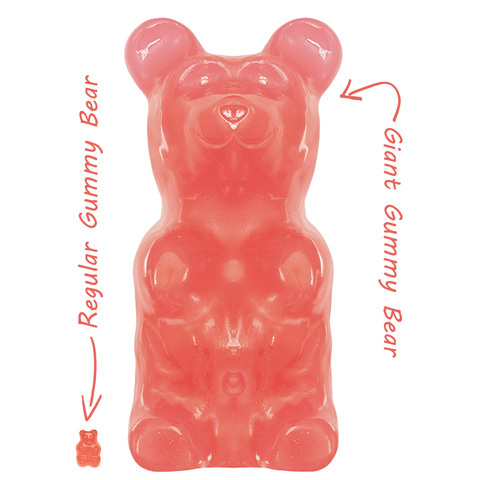 This World's Largest Gummy Bear is 1000 times more massive than the regular gummy bears we sell. 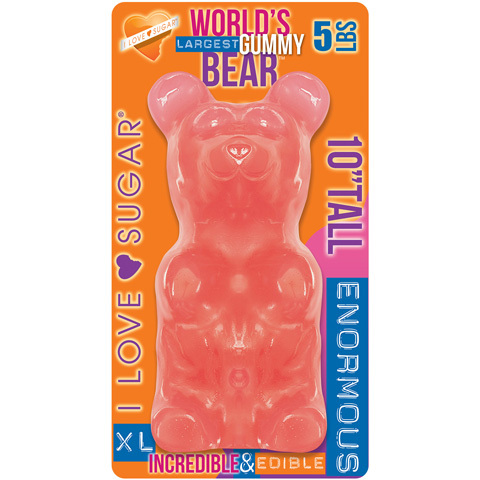 Weighing in at a whopping 72 ounces of gummy candy goodness, this gummy bear converts to nearly 5 HOLY-COW pounds. He stands approximately 9.5" tall, 5" wide and over 3" deep. And it's packed with yummy Bubblegum flavor.